Pay as you grow. Our cloud servers are billed monthly per instance node. An instance is a standard combined unit of processing (vCPU), memory, disk and bandwidth resource allocations. A cloud server is made from 1 or more instances. For example, selecting 2 Instances will provision you a cloud server with 2 GB of RAM, 72 GB of primary disk space and 2000 GB of monthly bandwidth. You can configure the specifications of the server that you would like to order from here. 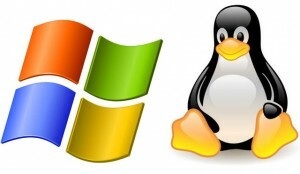 You have a choice of Linux or Windows OS templates (most are free), and each cloud server comes with one free IP address. You can also optionally add additional IP addresses and backup space to your server now, or you can add those anytime later from your cloud server management portal after your cloud server has been provisioned. Our cloud server hosting platform features enterprise-class resilience, with multi-layered security, and a self-healing architecture with automatic failover safeguards. Our tier 3 compliant Canadian datacenter provides security, redundancy and network capacity to ensure reliably fast connectivity to your website. We scale up as fast as you need to. Stop worrying about making large up-front investments in hardware that you don’t really need right now, but that you might grow into later. Our cloud servers give you all the benefits of your own dedicated server, and can be easily scaled up or down as your needs change — on a moment’s notice.